Get your dance on with barre group exercise at American Family Fitness. Barre is a body-sculpting class with elements of ballet, yoga, and Pilates. Are you a dancer at heart? With barre group exercise at American Family Fitness in Virginia Center Commons, you’ll enjoy, once again, the thrill that comes from dancing. 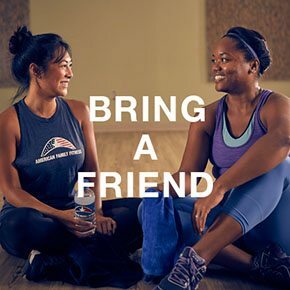 Our spirited instructors, engaging routines, and encouraging group atmosphere will assist you in becoming the healthy and fit person you always knew you could be. Our barre class is a fun, 60-minute, high-intensity, body sculpting class that will energize you for rest of the day. This cardio-based barre workout will have you sweating your way to improved strength, stamina, and endurance. At our gym in Glen Allen, we offer barre fitness throughout the week for your convenience. 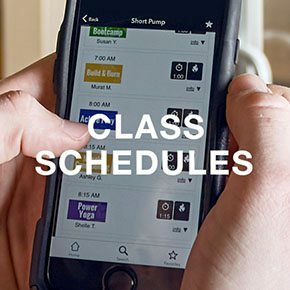 Please see our Class Schedule page to decide the best dates and times for your schedule.